On the 4th August 2012 I made (what I considered) a very ballsy move, I joined WIWT and uploaded my first 'outfit'.. I couldn't believe it when I got my first 'star'... Basically, you give a star to the looks you love and this meant (unless it was a sympathy star), someone actually liked what I was wearing!!! A 'star' also gets you kudos points and trust me, each any everyone of these is appreciated! 12 months on, 309 users follow ME (?! ), 1.9million in kudos (if only they were quids!!) and *pinches self*, being a top trending user for the last 8-9 months!!! WIWT is part of my daily routine, this means uploading an outfit EVERYDAY for the world to see...It's something I do for me, which makes me focus on me, for a few minutes everyday...The upside is that you also get fash inspiration from others, AKA Style Stalking!! 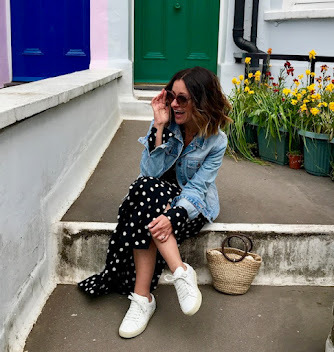 Uploading to WIWT has also given me the confidence and inspiration to blog...Who'd have thought 12 months ago that I'd be sat here writing my own blog, posting outfits on Instagram, meeting fabulous new people and attending fashion events??!! WIW for the F&F Style Challenge...Prints. WIW when I became a little obsessed with jumpsuits..
WIW to work when the temperatures went sub zero..
A massive THANK YOU to Poppy of WIWT fame for creating the platform that brings me here today!! I seem to get quite a few links from that fab Topshop dress!! The jeans are from New Look, they are the boy for ones... I picked them up a couple of weeks ago in the sale for £8!!! They are fairly true to size too if you are looking online!! Thanks for the quick response. Limited sizes online but I'll hunt high and low in store! You are welcome!!! Good luck, I hope you get them!! I still can't believe anyone ever gave me a star- and now I'm too scared to come back just in case they don't ever again...eeeek! It is!!! I have been thinking about having a bash at uploading on to LOOK...It appears that I have to do it through my own Facebook account though and I'm not up for that!! Pleeeeease come back!!! You'll get a tonne of stars, everyone would love to start stalking you again! Thank you, that's really kind of you!!! You are looking fab sweet and I'm flattered but you're the one wearing it and putting it together!! YYYEEEESSSSSS!!! I'm so pleased for you! That's kinda where the name Mission;Style came from, hunting down and changing myself!! I'd never heard of WIWT before, thank-you so much for writing this post. I've just joined the site! After a break from blogging I really want to get back out there as much as possible. Love your blog, your style is flawless! 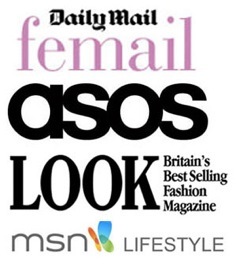 WIWT is a great feed to your blog and you get to meet loads of lovely cash types too! !